Dressin' It Up, around here! 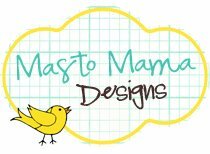 THANK YOU, Carla, over at Masto Mama! She endured endless emails from me and constant changes to my ideas. Then, after all that, came up with this wonderful design! She also never let me see her grit her teeth at my inability to make a decision! I'm grateful! Let me know what you think! Leave a comment at the link above (next to the title)! Thanks, You guys are great!